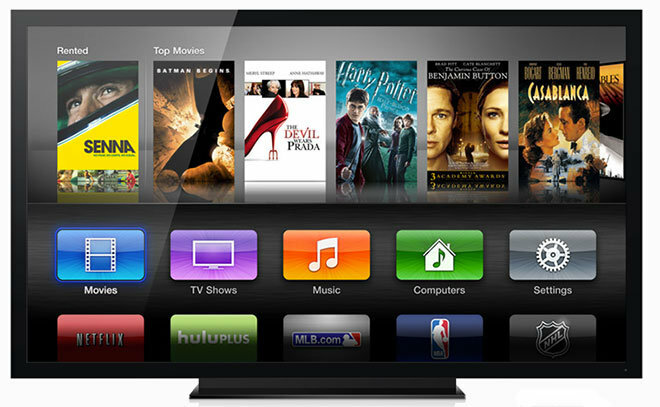 Countering recently voiced expectations from activist investor Carl Icahn, a report on Monday claims Apple had plans to release an ultra-high-definition television set by 2016, but abandoned the idea more than one year ago. Sources told The Wall Street Journal that Apple's UHDTV ambitions ended after executives agreed the company could do little to innovate in an already competitive television hardware market. When Apple first investigated a full-fledged TV offering, it explored not only 4K screen resolutions, but the incorporation of advanced sensors and cameras that would enable video calls dubbed "FaceTime for the television," the report said. Industry giants like Samsung, LG and Sony have toyed with similar ideas, though consumer response to such value-added features has been muted. Apple did not cancel its television project altogether, though plans were shelved and employees reassigned to different product lines. According to the report, Cupertino has worked on other exotic display technologies in a quest to build a next-generation television, including a prototype transparent display powered by lasers. That project, too, was canceled due to questions of power efficiency and poor image quality. It is not unusual for a tech company with Apple's resources and access to talent to explore every conceivable avenue in a variety of product categories, especially those where ripe for innovation. Indeed, Apple has enjoyed spectacular growth thanks in large part to its ability to evolve and refine consumer electronics beyond expectations. Apple holds multiple patents related to display technology, including inventions covering all-glass appliances, holographic UIs and more. After acquiring Israeli company PrimeSense, however, recent IP filings have homed in on 3D gesture interfaces, technology that could plausibly make its way into a near future product. Instead of a television set, Apple chose to concentrate on a next-generation Apple TV set-top streamer it plans to introduce at the upcoming Worldwide Developers Conference in June, the report said. The new device is rumored to ship with a faster processor, revamped remote control with touchpad input, a dedicated App Store and Siri integration. Reports have also pointed to an over-the-top subscription service designed to compete with traditional cable providers. Earlier in the day, outspoken investor Carl Icahn set a lofty $240 price target for Apple stock partly on a belief that the company would launch a television set next year.